It seems Power NI hope to offer domestic battery solutions in the “near future”. While many home batteries are yet to make financial sence (payback time is usually longer than the warranty in this country) prices continue to fall. Batteries can be used to store solar power while you are out so it can be used later on in the evenings. They can also be charged from the cheaper Economy 7 rate over night. The 14kWh Tesla Powerwall 2 is probably the best know product in this space due to the Californian companies cult following. However there are plenty of alternatives like the Powervault and the new Catch Energy system. 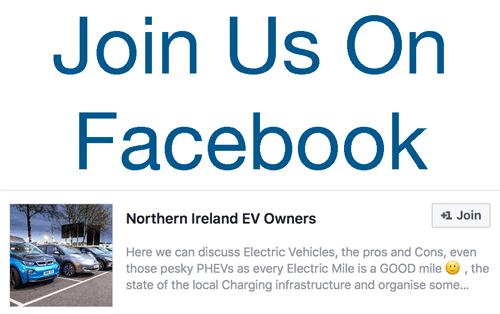 In addition to domestic batteries, questions were asked on ‘Connect Homes’ and EVs. We look forward to some future-thinking announcements from Power NI in the coming months. 1 Comment on "Power NI to Offer Domestic Battery Storage Solutions in Near Future"
Been doing battery storage in the Mournes for decades .Kilroot power station soon to have the biggest battery storage in Europe, Belfast once had a DC supply. Tesla’s power wall coming to Ireland, too expensive.